I won’t bore you with endless words critiquing this CD or that one but will simply jump right into a few tracks that have won my heart in the last couple of months. If you are looking for the latest and newest, well perhaps MTV Iggy or the endless blogs out there that claim to know it all about music might be a better bet. Here at the Ajnabee it is only about the kind of track that gets your heart racing, your mind wandering and your soul dancing with joy. Do share your own faves in the comments below. If you can think of a song that is at once a combination of Nino Rota‘s tracks for Fellini, the score of French film ‘Amelie’, with some Flamenco ‘duende’ (which means magic, soul) thrown in, then ‘Dil To Bachcha Hai’ from the Vishal Bhardwaj produced ‘Ishqiya’ -- sung by the phenomenal Rahat Fateh Ali Khan would be IT. At once melodic, soulful, melancholic and sensual, if my life had a soundtrack this song would be the sound of this moment. Don’t even get me started on the Remix, which has street sounds thrown in there with R & B lyrics. DIVINE. Here is a video of the song in the film, just in case you need more proof. The sound quality isn’t best -- for that you’ll have to get your own copy of the soundtrack, available on ITunes. While I am on the subject of Pakistani Qawwali singer Rahat Nusrat Fateh Ali Khan, he’s got more fantastic tunes available in the world of Bollywood. From his haunting ‘Khwab Jo Raag De’ in the Salman Khan starrer ‘London Dreams’, to the sweet ‘O Re Piya’ in Madhuri Dixit‘s return to the big screen flick ‘Aaja Nachle’ and the romantic ‘Aaj Din Chadheya’ in one of the soundtracks I recommended earlier this year ‘Love Aaj Kal’. All available on ITunes. For a quiet evening at home, reading a magazine (not a book, music is too absorbing in itself!) and drinking some good red wine, I suggest A.R. 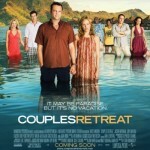 Rahman‘s beautiful soundtrack to a less than memorable film ‘Couples Retreat’. 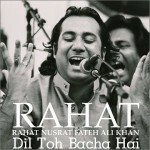 The first song ‘Sajna’ is absolutely an anthem to love and quiet passion, the best kind of passion there is! There just seems to be a whole Sufi Islamic theme to this music list but I’d like to close with one track from this year’s UTV release ‘Kurbaan’. The title I listen to over and over on that CD is ‘Shukran Allah’ which is something we should say to our own god(s) each and every day: Thank You. And to you, I say N-joy… the clip for the song below! This entry was posted on Saturday, March 6th, 2010 at 2:38 pm and is filed under On My IPod, The List.